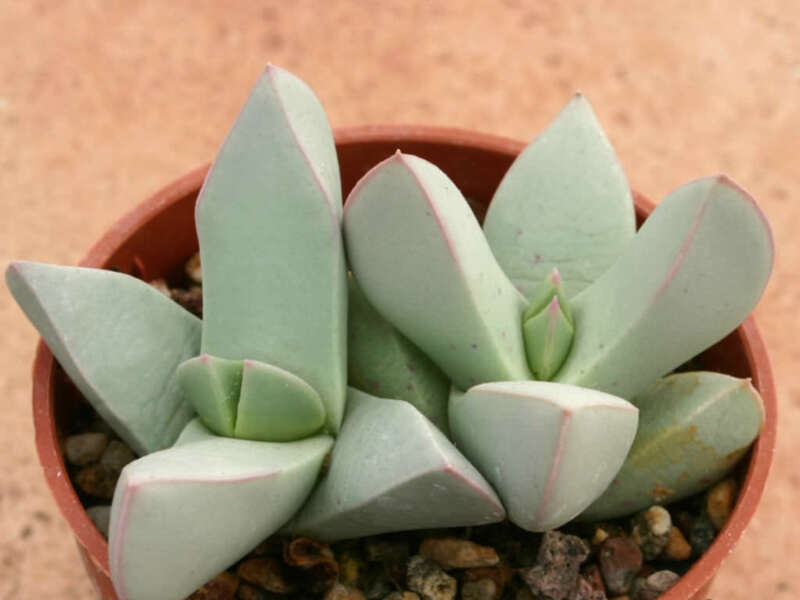 Schwantesia loeschiana is a small, cushion forming, low growing, stemless, leaf succulent. 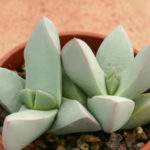 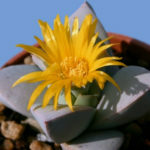 It forms a compact tuft of pale grey to dusty green or bluish leaves, fused at the base. 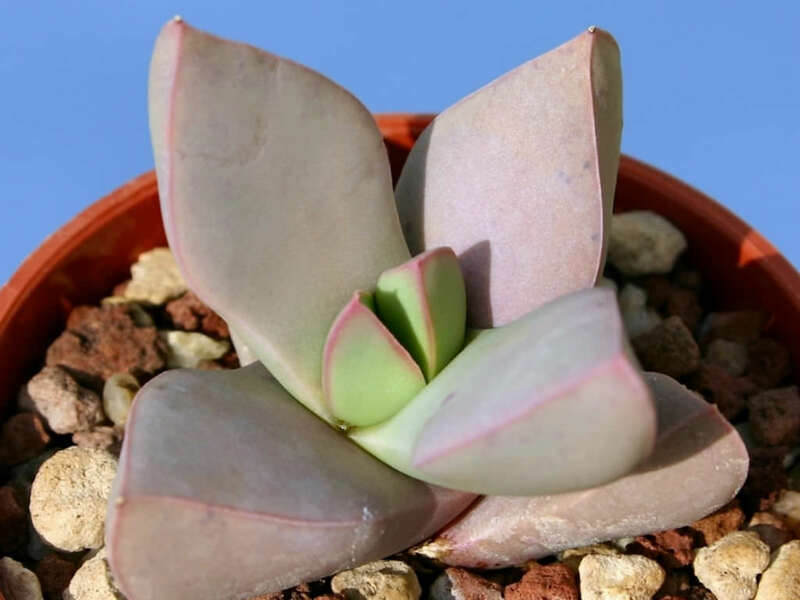 Leaves are fat, succulent, up to 1.4 inches (3.5 cm) long. 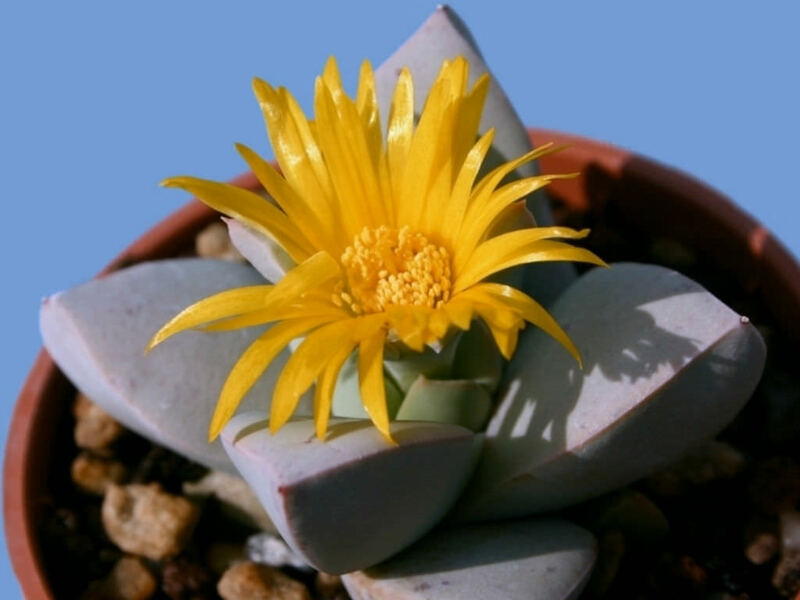 Margin are sharp, often reddish. 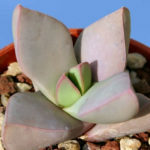 The new leaves appear from within the old leaf pair fissure which gives the impression of the plant having sets of alternate appressed leaves. 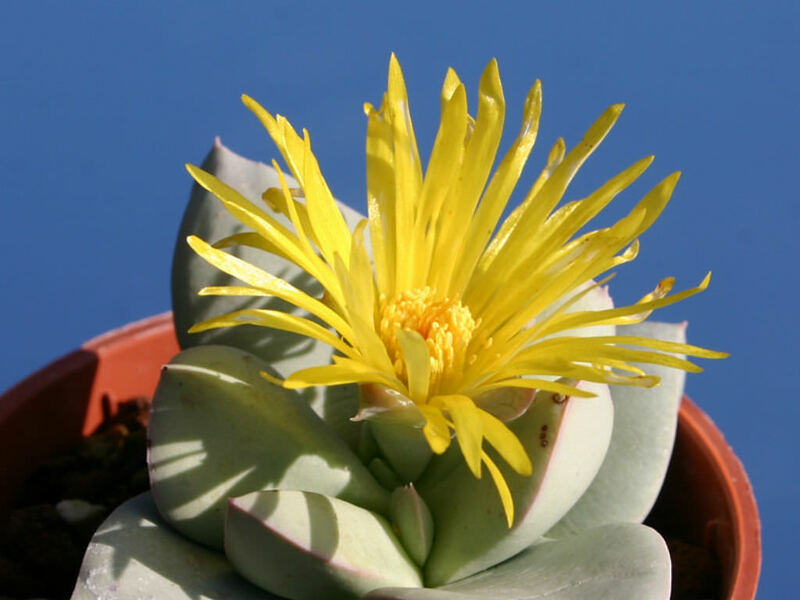 Its flowers are single, on a short peduncle, yellow and up to 2 inches (5 cm) in diameter.